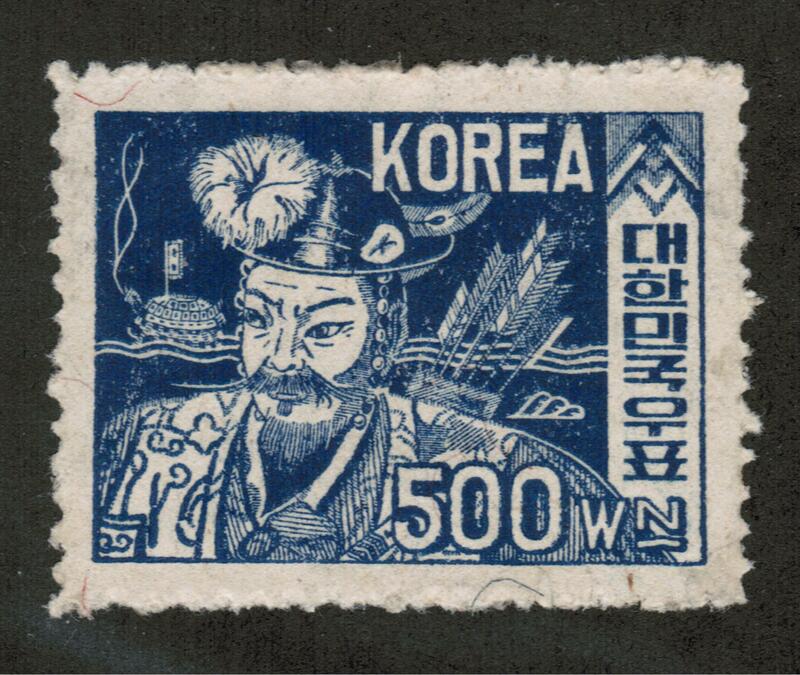 Korean postage stamps were first issued in 1884. 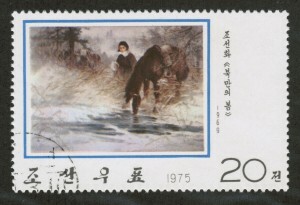 Prior to this first stamp issue, Chinese and Japanese stamps were used in Korea. 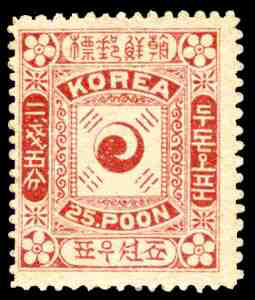 Korean stamps generally depict a Yin Yang symbol, which was there central design on most issues until the 1903 Falcon issue. 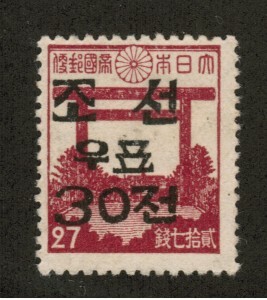 From 1905 to 1946 Japanese stamps were used throughout Korea. After World War II, Korea was split between South Korea (USA allied) and North Korea (Russia allied) and continues as two separate nations to this day. 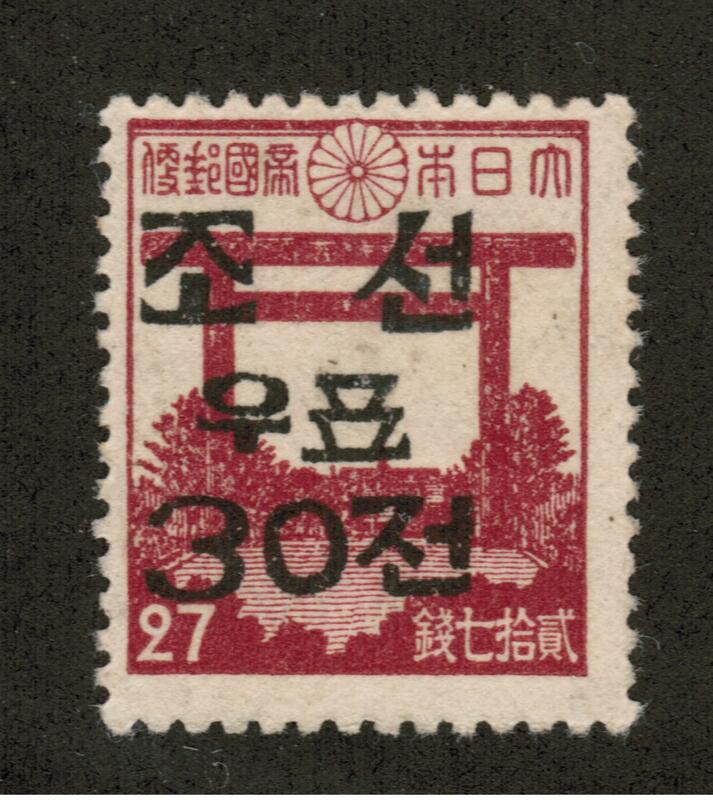 South Korea postage stamps in the 1940’s are known for their poor quality paper and rough perforations. 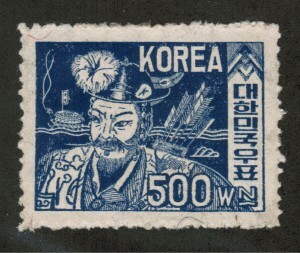 In the 1950’s the quality of stamps improved significantly and today’s modern Korea postage stamps are often fine works of art depicting butterflies, art, economic progress and famous Koreans. 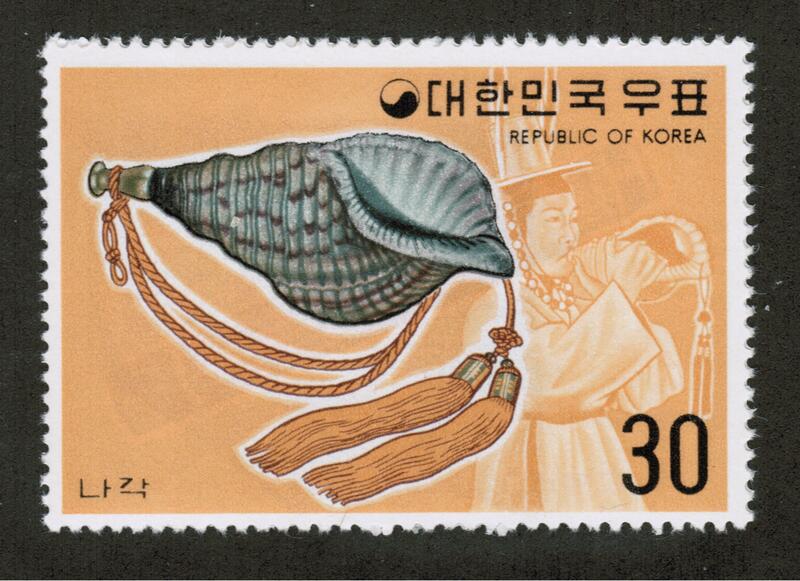 It is worthy of note that many Korea stamp issues are available both as single stamps and souvenir sheetlets. 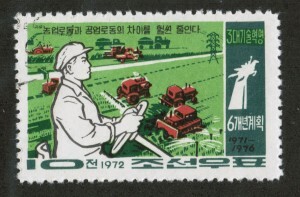 North Korea stamps issued in the 1940’s and 1950’s generally extolled the virtues of the communist state and their military and worker achievements. These have been supplanted by a more prolific stamp issuing policy of colorful tropical’s with many souvenir sheets but still interspersed with propaganda like issues. The Koreans tried to independently establish the Korean Postal Bureau in April of 1884, but by June of that year, they ended up hiring four former Japanese postal employees to assist the Koreans on establishing their postal system. These Japanese employees were paid well with travel expenses, Sunday off, summer vacations and nice salaries. By 1884, the post office was up and running in Chemolp and Seoul. 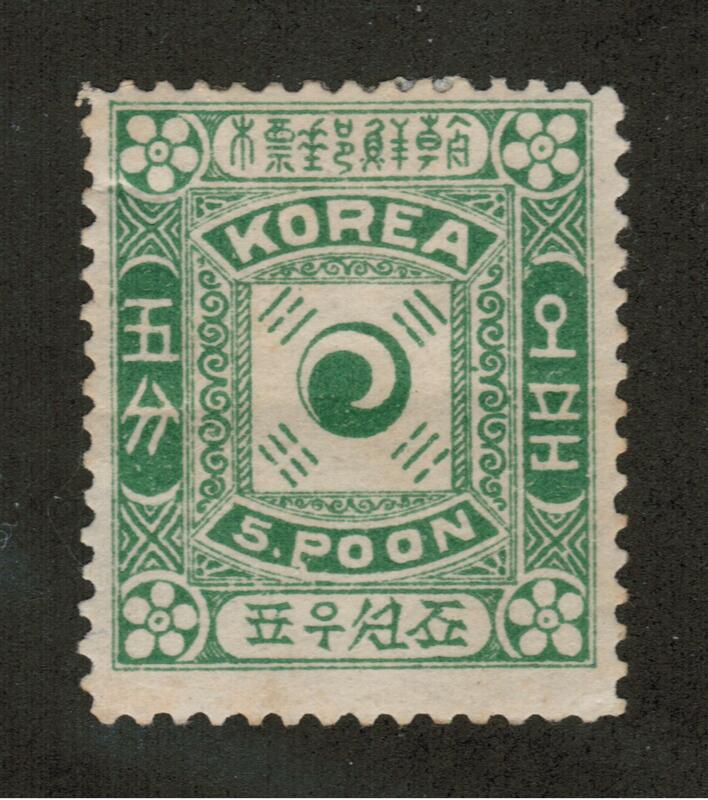 On top of using Japanese employees, the Korean printed their first stamps in Japan in 1884. These stamps were issued in five denominations: 5, 10, 25, 50 and 100 mun. They ordered 2,800,000 stamps but only received 15,000 of these stamps until three years later. Out of the 15,000 stamps, only 500 were sold to the dismay of those looking to start collections of Korean stamps. 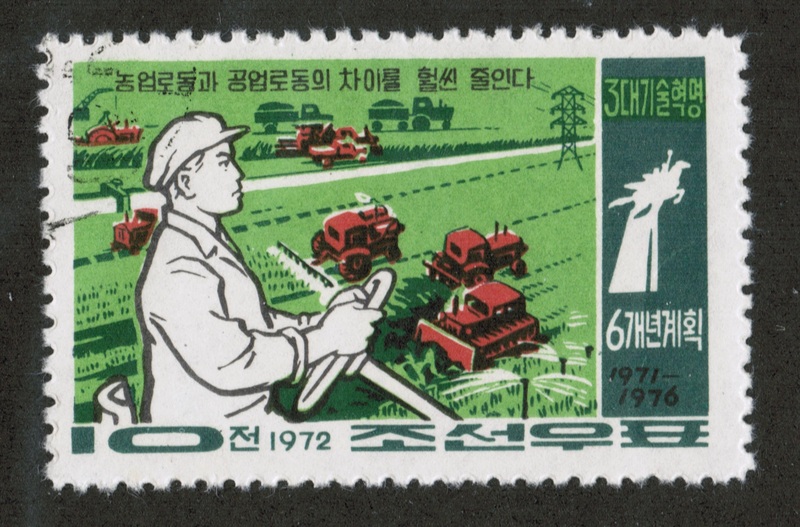 The remainder of the 15,000 stamps were actually destroyed along with the Korean Post Office. An administrator mailed the stamps to a friend to be sold for $30 a piece or more in the United States, a hefty sum all the way back in the late 19th century. Later the remainder of the 1,300,000 of the 2,800,000 stamps arrived in early 1885. 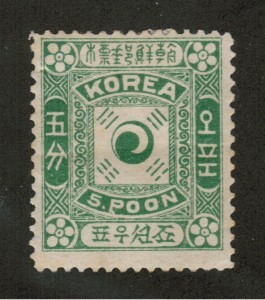 The Korean government was forced to pay for the rest of these stamps, and they actually had to sell the stamps to a German trading company, E. Meyers & Co., to pay for the stamps. 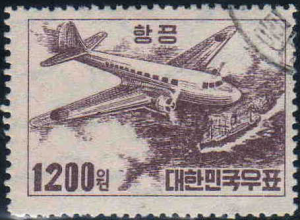 If you want more information on collections of Korean stamps, or any other Asian stamps from countries like China, India, Thailand and more, feel free to contact Treasure Coast Stamps. 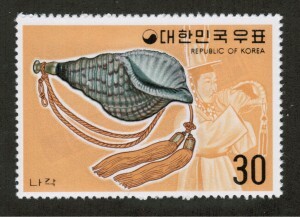 Korea’s first modern postal service started in 1884. Korea Times.